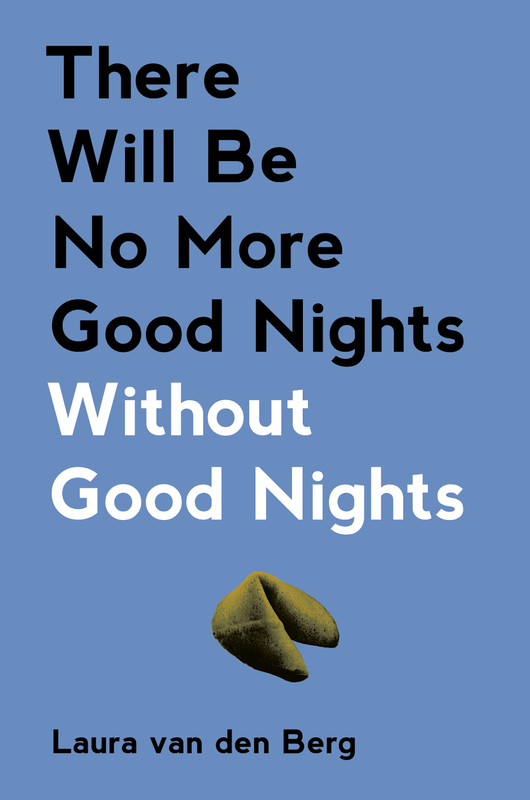 In Laura van den Berg’s There Will Be No More Good Nights Without Good Nights from Origami Zoo Press, readers get an intimate look into some very wondrous but strange lives. Each of Berg’s very short stories provides glimpses into miniscule moments within these characters’ lives, exploding the importance we place on the unusual. It was, Lenore had realized after staring at the photograph for a while, the kind of boundless space she had pictured her son, and now her ex-husband, passing through during the moment their life turned to non-life, presence to absence, as though Mr. Masiki had photographed a hidden part of her consciousness and hung it on his living room wall… She imagined the night could stretch into eternity, the quiet, the watching, the ring of light. As readers, we expect that there will be more after this connection to the photo. But, van den Berg ends the story here. She leaves us in the climax of the story with a resolution that only exists outside her pages. The author redefines the typical narrative arc of fiction by sometimes stopping a story before the conflict. In “The Golden Dragon Express,” the story ends just after the narrator confronts her husband about his affair and his late-night phone calls. Specifically, it ends with: “Rick touched my knee, started to say something. In the kitchen, the phone rang.” It starts toward a resolution of separation or reconciliation, but suddenly stops by asking the reader to imagine the narrator’s response. The story “Reptiles” has the same movement when the narrator buries a turtle from a failed pet store venture. She remembers that you can “see the future in the markings on a turtle’s shell” and ends the story by looking at the shell before the burial. That’s it. In fact, the narrator describes it as she “started to look”—not even a completed look. With each ending resembling the beginning of a longer story, the reader is forced to focus on moments just before a change occurs. This is how van den Berg’s characters are so brilliantly relatable. Instead of the reader relating to situations or the actions of a character, van den Berg finds a universal emotional space. When the narrator of “Lake” says, “she wanted so badly to reach him, she would have swum across the lake to meet him, if that’s what it took…” and that she wanted to “step off their usual path and run up one of the narrow trails that led into the forest and see what was there,” readers understand the need to reach someone. And when Sheila, in “Something Thrilling and Heroic and Strange,” desires change, “something radical” like changing her whole identity, readers get that feeling. The brave part of this is that van den Berg’s stories only concern themselves with these emotional shifts. They are not part of a larger story that attempts to explore themes of existence—they are existence. These shifts are what it means to be alive. Did they notice the marks on our arms and legs from where we had bitten into ourselves, ever so gently? Did they try to console themselves with that old line about children being resilient? Did they notice that when they walked through the front door and dropped their suitcases and called for us, we raised our heads from the couch and looked at them like strangers? Did they realize that they were? This paragraph suddenly allows the possibility that the whole story of cannibals could be a child’s fantasy. Or the children could be the cannibals. Or it really happened and… The choices can make any reader’s head swim. All of van den Berg’s stories make the reader feel strange. The conciseness of each story and the layered understanding of human experience make each a gorgeous, hard-to-define cross of fiction and poetry. Her greatest accomplishment, though, is creating characters that readers cannot imagine themselves as, but can understand at a molecular level.